The United Nations and Security Council need to name Houthi group as hinderer of peace efforts and Stockholm Agreement implementation, said the official government of Yemen, accusing the UNSC of failing to do its responsibilities in terms of Iran's "subversive role" in Yemen. Parties to the 4-year war in Yemen, after 8-day peace talks in Sweden, reached on the 13th of last December an agreement providing for ceasefire in Hodeida and redeployment of both sides' forces, exchanging prisoners and alleviating blockade imposed by Houthis on Taiz. The city of Hodeida and its three ports have been under Houthi control since late 2014, while Yemeni joint forces loyal to legitimate government and Arab coalition have massed at the city's fringes since last November seeking to retake the strategic port. 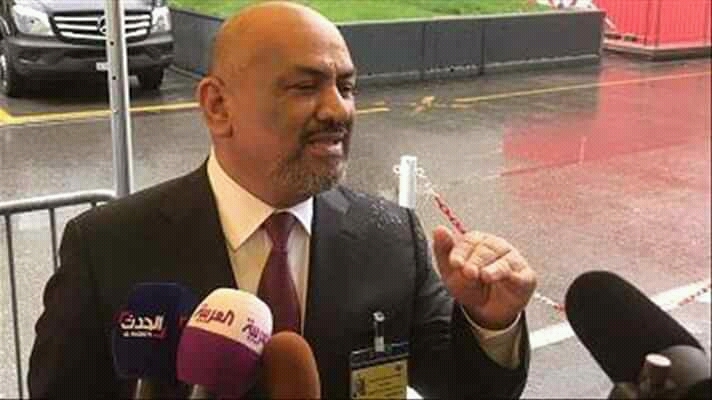 At his meeting with the UN Secretary-General Antonio Guterres, Yemeni "legitimate" foreign minister said "Houthi militias' obduracy and rejection to apply Stockholm deals shouldn't be overlooked, and the UN and UNSC should hold Houthis responsible for obstruction." Minister Khaled al-Yamani called for more pressures on Houthis to stop exploiting the Yemenis' sufferings and to start fulfilling Hodeida pact. According to the Aden-Based Saba News Agency, Guterres highlighted the need for UNSC to send strong-worded messages to Houthis to achieve progress in Hodeida before any next steps in peace process. All efforts by the UN and its envoy are now focusing on the Hodeida deal implementation, he said, confirming the UN's commitment to reaching an all-inclusive solution for Yemeni crisis. Separately, Yamani on Thursday accused the UNSC of failing to do its responsibilities in terms of Iran's "subversive role" in Yemen. The Security Council has not assumed its responsibilities, although the UN Sanction Committee's expert panel found every evidence on Iran's persistent violation of UNSC Resolution 2216 banning arms and oil exports to Houthis, Hadi FM said at a debate in the New York-based international peace institute. Houthis continue to breach the ceasefire by digging trenches, planting mines in Hodeida and using the province to launch drones and rapid boats and attack pro-government forces.